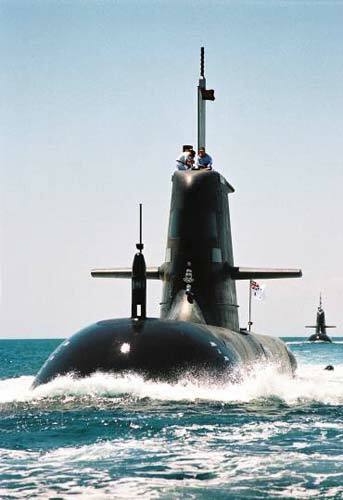 On the 12th February 2003, the Australian navy came within 20 seconds of losing HMAS Dechaineux, one of its new Collins Class submarines. The cause of the problem was a burst flexible pipe (hose) in the auxiliary seawater cooling system. The hose burst when the Dechaineux was close to its maximum operating depth flooding the engine space with some 12 tones of water in 7 or 8 seconds. As with the automatic shutdown of the CERN Large Hadron Collider (LHC) discussed in ‘If it can go wrong……’ [view the post] trained people and automatic responses to the emergency saved the submarine: the external valves in the hull were closed, the submarine was brought to full speed and maximum rate of ascent and all ballast was ‘blown’. Most of the responses that saved the submarine were implemented in the first 15 seconds following the disaster. What makes this a really interesting study is the cause of the hose failure has never been identified. The short term solution was to limit the submarines maximum operating depth; the long term solution was to re-engineer the connection to eliminate the flexible hoses. The flexible hoses were always identified as a critical safety item. Of every batch of hoses delivered, 10% were tested to destruction – none failed at less that 4 times the maximum operating pressure and every hose fitted was tested to more than the maximum operating pressure. The broken hose has been microscopically examined and no flaws identified. In exactly the same way, the LHC management cannot identify the cause of the substation tripping out (causing the LHC shutdown in November), the Navy does not know what caused the flexible hose on the Dechaineux to fail. What both incidents clearly demonstrate is that it is impossible to predict every source of risk and/or potential catastrophic failure. Other approaches are needed. The first is to design good emergency procedures that can avert disasters even if the precise cause of the failure is unknown or unpredicted. This should be a major consideration in any technical design. Both failures were in a predictable ‘class’ – the LHC could predicts power outages, submarines will occasionally suffer major leaks or flooding. The second is regardless of the statistical data collected, past performance cannot guarantee future outcomes. Any statistical simulation, including Monte Carlo has a range error. The result may be 90%, 95% or even 99% reliable but there is still a possibility of a result falling outside of the predicted range. The key message from ‘The illusion of control: dancing with chance’ [view the post], is the need to accept that there are things that you simply can’t control, and one of those things is the future. It is only through recognising and embracing uncertainty can systems be developed to deal with the risk you did not foresee. In a new book called ‘Dance with chance, making luck work for you’ authors Spyros Makridakis, Robin Hogarth and Anil Gaba suggest that people tend to assume they can control much more than they actually do and as a consequence, they underestimate the role of chance. One of the key ways of dealing with risk is accepting that there are things that you simply can’t control, and one of those things is the future. Underestimating uncertainty has very serious implications for risk management, and project managers should pay special attention to what can be predicted and what we can’t predict. The authors pinpoint two kinds of risks: subways and coconuts. You can plan for the subways, but it is difficult to plan for the coconuts. You can do research and be relatively sure that the subway will be predictable most of the time (but never all of the time!). On the other hand, you know that coconuts fall from trees, but you can’t predict when they will fall or where they will land. They argue that we have to accept that there are some things that we simply can’t predict and as a consequence, the idea that project managers can control risk is an illusion. “Just accepting that is a huge step. It doesn’t come easily for most people, but it is absolutely the first critical step” Gaba says. First you accept that there are things you can’t control. Augment your project plans to make sure you manage risk more effectively. This means using models, independent opinions, internal and external advice and any other means to assess the unknown risks and to make your team nimble and open to change when the unexpected does happen. In this context, the project schedule and cost plan are two models that can help in the assessment but they neither control the future nor eliminate risk. What these plans should do though is provide a good foundation for implementing a nimble response when the unexpected does happen. Risky Business discussing the work of Nassim Nicholas Taleb, author of the Black Swan. PMI has selected Stakeholder Relationship Management: A Maturity Model for Organisational Implementation for its on-line book store and will be promoting the book at the PMI EMEA congress in Milan (10-12 May). I will be in Milan for the congress to present on ‘The future of the PM Hero’ followed by my SeminarsWorld® workshop ‘The science and art of communicating effectively’. I will be happy to sign copies of the book for anyone who buys a copy during the congress and look forward to exploring the delights of Italy. One derivative of Murphy’s Law is: If it can go wrong it will go wrong, usually at the most inconvenient moment! 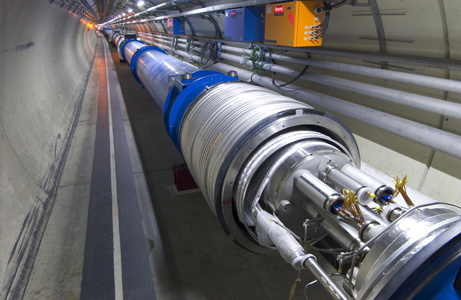 This post may be old news to many European’s but in November 2009, the 27-kilometer (16.8 mile) Large Hadron Collider (LHC), buried under fields on the French/Swiss border, suffered serious overheating in several sections after a small piece of baguette landed in a piece of equipment above the accelerator ring. Dr Mike Lamont, the LHC’s Machine Coordinator, said that “a bit of baguette”, believed to have been dropped by a passing bird (other sources suggest a malicious pigeon), caused the superconducting magnets to heat up from 1.9 Kelvin (-271.1C) to around 8 Kelvin (-265C), close to the level where they stop superconducting. In theory, had the LHC been fully operational, this could cause a catastrophic breakdown similar to the one that occurred shortly after it was first switched on. Fortunately, the machine has several fail-safes which would have shut it down before the temperature rose too high. Given the total cost of the project to build and commission the accelerator is of the order of 4.6 billion Swiss francs (approx. $4400M, €3100M, or £2800M as of Jan 2010) with an overall budget of 9 billion US dollars (approx. €6300M or £5600M as of Jan 2010), making the LHC is the most expensive scientific experiment in human history. 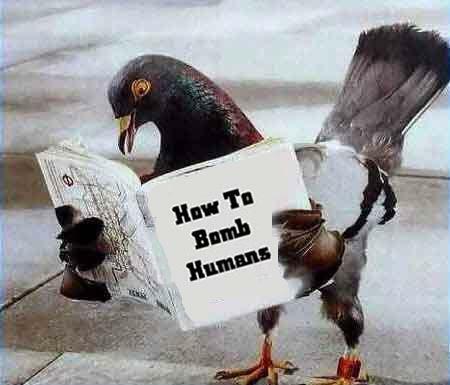 Politicians are probably asking how a bungling bird could target a critical part of the machine with a small piece of bread and shut the whole system down? A more realistic question for project practitioners is how could design engineers and risk managers be expected to foresee this type of problem? Failure Mode Analysis (FMA) may help but I can just see the reaction to someone in a risk workshop hypothesising that a bird would fly over the machine and drop its dinner precisely on target to cause the maximum damage. Theoretically possible, but hardly plausible would be a polite reaction……until after it happened. One of the messages from books like ‘The Black Swan’ and from complexity theory is the future is inherently unpredictable. This is probably as good an example of a ‘Black Swan’ as any I’ve heard of. One of the most combative industries world-wide is the building and engineering industry. Many legal systems have dedicated construction law courts and others have enacted legislation designed to specifically manage construction industry disputes. In Australia alone, it is estimated the construction industry could save AU$7 billion through better stakeholder and contract management processes that minimise or eliminate avoidable disputes. Research in reducing theses excessive costs has resulted in the publication of The Guide to Leading Practice for Dispute Avoidance and Resolution. The Guide recommends management strategies to avoid contractual disputes between clients, contractors and other stakeholders, and where disputes cannot be avoided, to manage disputes effectively. Whilst this research was developed by the Australian building and construction industry it has a much wider application and is recommended reading for any manger involved in establishing or overseeing a major project. The Guide was developed by the CRC for Construction Innovation prior to its closure in 2009. To achieve a balanced view, the CRC-CI engaged with a cross section of organisations in the built environment industry supply chain including the Association of Consulting Engineers Australia, Australian Constructors Association, Australian Procurement and Construction Council, Civil Contractors Federation, Queensland Dept. Transport and Main Roads and Main Roads Western Australia in the work leading to this report. In most negotiations everyone knows exactly what they’re talking about. The defining elements of the situation are relatively stable and the discussions are relatively predictable. These tend to be transactional, negotiations that follow rules and trade compromises; our culture’s default setting. This type of negotiation is referred to as ‘transactional’ because they’re essentially about trading or exchanging ideas, positions or things of value. Beneficial transactional negotiations provide a context in which participants can exchange ideas and perspectives that expand the stable common ground on which they can work together. However, whilst transactional negotiations are good for maintaining the status quo, they can easily become dysfunctional as the parties trade compromises and eventually work to the common lowest denominator, with both parties focusing on making sure the other does not ‘win’. Transformational negotiations, on the other hand, are about creating something new. At the point the parties enter a transformational negotiation they don’t know what the outcome will be. The outcome will be created by jointly melding and building on ideas to create new possibilities that were unthinkable at the start. This is both an exciting and a frightening place to go, everyone needs to actively let go of preconceptions and open up to the possibilities crated by ‘not knowing’ and ‘not controlling’. We don’t know what solution we’re going to get here: Once our co-creativity gets rolling, new third-way solutions are virtually inevitable. We can create together more choices in our approach to the problem (new options). We don’t actually know what topic we’re talking about or what problem we’re trying to solve: The stated topic or problem will probably shift during the conversation as the decks get cleared for more basic topics or problems to emerge. New choices become available because we’ve deepened our understanding of the situation we’re addressing (reframing the problem). We don’t know who we will be at the end of the negotiation: All of us may change, not only individually, but in our relationships to each other and to our situation and its context (choice creating). To allow these open-ended questions, there needs to be a high level of mutual trust and respect. The trust allows a better outcome to be developed by reframing the problems and building a combined future together. These guidelines are not hard and fast; negotiations can be more or less transactional, however, it is the openness generated by people intentionally not-knowing that increases their transformative power. Any assumptions, circumstances, processes or facilitation methods that restrict these open-ended questions, will restrict the capacity of the negotiation to be transformational. I have been posting a few bogs on communication recently, mainly focused on differentiating reporting from communicating. Reports have a definite value but it is limited, ‘The Value of Reports’ posted on the PMI ‘Voices of Project Management’ blog defines their key uses. The step beyond reporting is managing stakeholder perceptions. This was the topic of ‘Stakeholder Perceptions Are Paramount’ also posted on the PMI ‘Voices of Project Management’ blog. These two posts and more were brought together in my paper ‘Beyond Reporting – The Communication Strategy’ presented last week at the PMI Asia Pacific congress. What all of this feeds into is the process of developing an effective communication plan. Communication planning is more than just developing a report distribution list. It must involve the full spectrum of communication options deployed to engage effectively with stakeholders ranging from ‘lift meetings’ and coffees through to formal presentations. This is one reason why our workshop, ‘How To’ develop a Communication Plan is separated from our SeminarsWorld® workshop The science and art of communicating effectively. Whilst communicating without a plan can be counterproductive, the communication plan itself needs to canvass both the efforts needed to ‘communicate for effect’ and the routine distribution of reports.